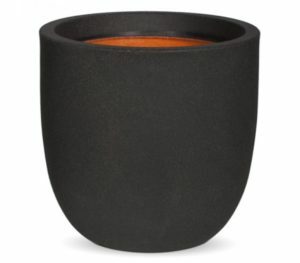 The Outdoor Scene offers an unrivalled selection of planters and pots in a wide variety of colours, shapes and sizes. 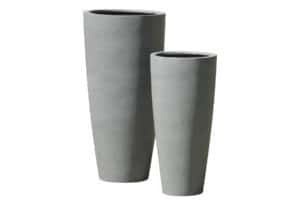 We have planters and pots suitable for domestic, commercial retail and business settings. Call us today or browse online. 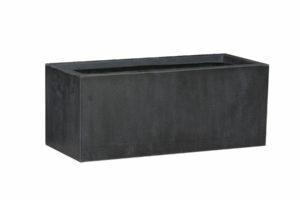 Chelsea Low Trough Planter will bring a classic touch to every outdoor & indoor space. 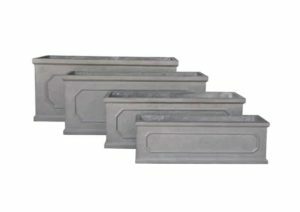 Thanks to trough shape it is compact enough to settle at front garden or patio. 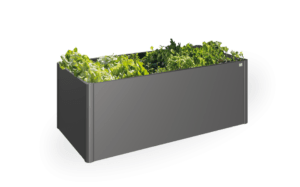 A natural looking planter for gardeners looking for a low profile but exceptionally durable planter. 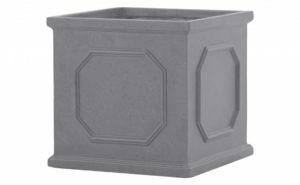 The Derby Rectangular Fiberstone planter is a superb choice. Using a unique “Fiberstone” compound. 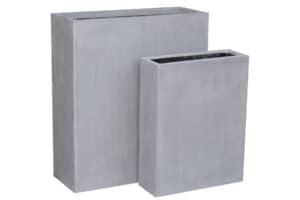 These planters have the look of a natural stone planter, but are lightweight and easy to move around while also being exceptionally durable and weatherproof. Available in two colours. Chelsea Square Planter is durable and adjusts easily in the modern and classical exterior environment. Great for both indoor and outdoor use. 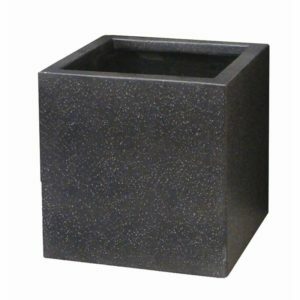 Oxford Square Fiberstone Planter is an ideal choice if you want to add a natural style planter to your garden. It has the appearance of real stone whilst being weather resistant. Great also as an addition to any modern indoor space. 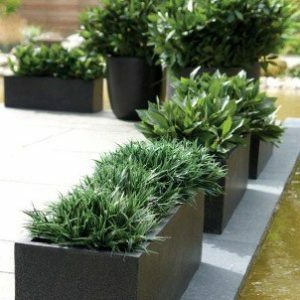 A natural looking planter with a unique rectangular shape. 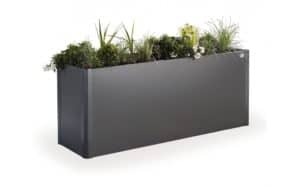 The Bristol High grey planter is a superb planter for gardeners who wish to create a multi layered garden. Using a unique “Fiberstone” compound. 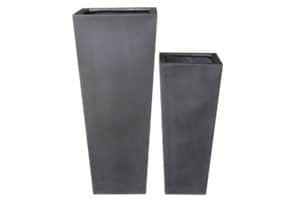 These planters are lightweight and easy to move around while also being exceptionally durable and weatherproof. Coming in two sizes. These planters will make a fine addition to your garden. 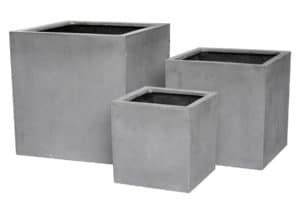 London Tapered Fiberstone Planter is a beautiful addition to any modern garden or indoor space. Available in 2 sizes and 3 colour versions. A perfect, natural looking planter for gardeners looking to keep plants with long roots. The York Tapered Fiberstone planter is a superb choice. Using a unique "Fiberstone" compound. 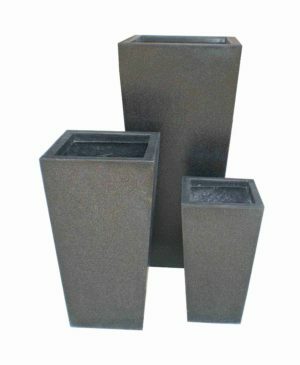 These planters are lightweight and easy to move around while also being exceptionally durable and weatherproof. These planters will make a fine addition to your garden. Biohort Planting Bed Belvedere is perfect if you are looking for stunning plant-filled space divider. Easy to assemble and maintain. Please note that we do not have any Biohort products on display in store. However, they can be ordered here on the website or in store. Please contact The Outdoor Scene by email or phone if you require further assistance.